Princess Cruises Are Simply Amazing! Who remembers the Island Princess and Pacific Princess? These are cruise ships featured in the hit television series "The Love Boat," which ran from 1977 until 1986. 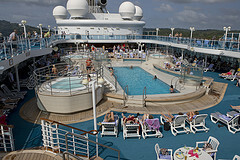 The passengers and crew had a romantic and funny adventure inside the ship with luxurious and pleasurable amenities. If you think that these ships were merely props on the series, you are wrong. Those two cruise ships were formerly owned by Princess Cruises, an American cruise line. With so many major lines in the cruise industry, Princess Cruise Line distinguishes itself by sailing to more worldwide cruise destinations. Princess started its cruise operations in the mid-1960’s when Stanley MacDonald rented Princess Patricia which is a ferry owned by the Canadian Pacific Limited for cruises from Los Angeles. However, Princess Pat was never designed to withstand tropical cruising conditions. Her charter ended in favor of the cruise ship Italia. 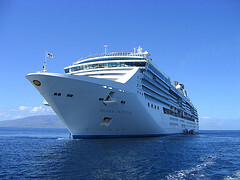 Italia had been one of the first cruise ships to have modern design elements like lifeboats mounted lower on the ship. It allows the ship engine to be installed far in the rear, creating a spacious public room. However, after its launching, its builders and owners declared bankruptcy. Italia was passed to a bank and consequently acquired by the Princess. Princess renamed Italia as Princess Italia and used her for Alaskan cruises from San Francisco. However, in 1973, the chartered was canceled, and it returned to Europe to charter cruise destinations of Costa Cruise Line. Their third charter cruise ship was the Costa’s Carla. It was purchased in the late 1960’s, immediately after being rebuilt. It was chartered to Princess, and later renamed as Princess Carla. Princess Carla, together with the Sun Princess acquired by the Princess from the Norwegian Cruise Lines, is included in some of the scenes of the television series "The Love Boat." In 1974, the acquisition of the Sea Venture and the Island Venture from Flagship Cruises, which later on became Pacific Princess and Island Princess respectively, bolstered Princess’ fleet of ships. The seventh ship acquired by the Princess is the Kungsholm, a former Swedish transatlantic liner owned by Flagship Cruises. It was restyled and rebuilt in Bremen by their engineers and ship designers and renamed it as the Sea Princess. Princess also acquired Sitmar Line in 1988, transferring all its ships to the Princess fleet. Today, the fleet stands at eighteen beautiful ships! 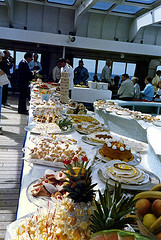 Princess, as mentioned earlier, had distinguished itself from other lines by cruising to popular destinations such as Alaska, the Caribbean, Hawaii, Mexico, and the Panama Canal. It proves itself a provider of the best cruise package possible for a reasonable price - luxury cruises at an affordable price. Princess Cruise Line gives its customers the luxury of cruise travel without charging them an arm and a leg. Princess’ fleet of ships offers different amenities such as dance classes, sporting activities, spa treatment centers, evening entertainments, and plenty of stuffs to do on-board. There is no reason for you to be bored. You will be kept busy with different activities, while having fun. They also offer traditional and modern dining, which means you can now eat your favorite food anywhere and anytime you want. 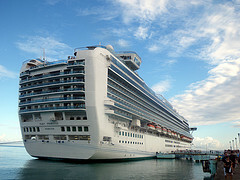 If you prefer cruising the Caribbean, Princess offers different choices in itineraries. There are three options, to be exact. These options are the Eastern Caribbean, the Southern Caribbean, and the Western Caribbean. Some of the popular Princess ports of call include: Charlotte Amalie, St. Maarten, Princess Cays, St. Thomas, Grand Cayman, and many more delightful Caribbean ports. Some popular things that you can do while on Caribbean cruise are snorkeling and diving, taking a drive, and fishing. The Caribbean islands are each simply a perfect place where you can do lot of things or nothing at all. Each of Princess' ships schedules several shore excursions from which you may choose, or you may opt to explore the place on your own. There are simply too many reasons why you need to try one of many Princess cruises to the Caribbean. Get on board today and have the experience of a memorable cruise vacation. By the way, you may click this link to see some noted differences between Princess and Carnival Cruise Lines. Also, check out Princess Cruise Discount Promotion page to see which cruise savings are currently available.